From the very beginning our approach to fashion has been driven by one overriding principle: “Fashion is art!” We have always prided ourselves on sourcing unique or hard to find pieces at the forefront of fashion trends. Another important factor is our friendly down-to-earth service, coupled with professionalism and honesty. Unlike many boutiques, we are not all about the hard-sell – if a piece isn’t right for a client we tell them. We want our clients to feel good about how they look and the only way to accomplish that is through honesty. We believe this is why many of our earliest customers still rely on Linea Fashion to provide them with the must-haves of the season. We hope you enjoy your shopping experience at Lineafashion.com and remember: whoever said “money can’t buy happiness” doesn’t know where to shop! We are authorised to sell the best original Quality products from the top Luxury Brands. We will always provide a professional, honest, and friendly service. We will always respect your privacy and will never sell your personal data or shopping habits to anyone. Linea Fashion was originally established in Hampstead in 1991 by Moreno Ferraro and his brother Piero. 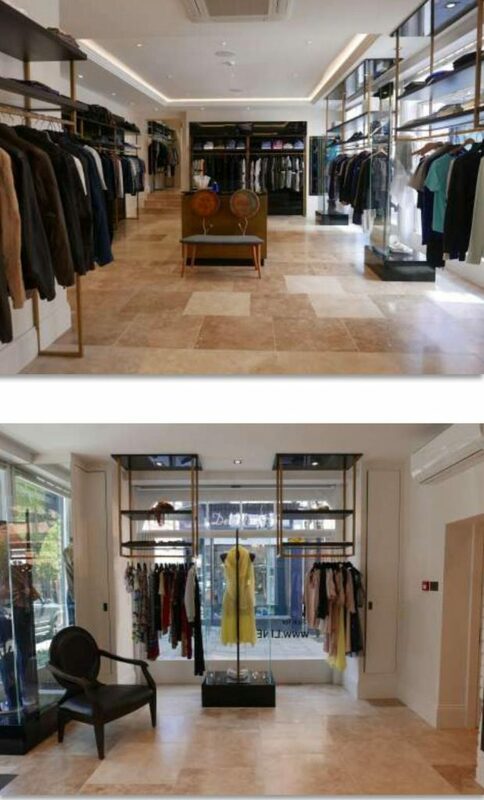 Offering an often eclectic mix of ladies’ and men’s designer fashion styles from around the globe, Linea gave Hampstead it’s first designer fashion boutique. Our marketing budget was very modest in the early days, so many of our first clients learnt about Linea through word of mouth – we like to think we let the clothes do the advertising! Even though eCommerce websites didn’t exist at the time, we soon started to attract many international and celebrity clients, including actors, musicians, models, fashion editors, footballers and other well-known personalities. We offer Worldwide Delivery for free or flat rates.